In 1855, the first edition of Leaves of Grass appeared, consisting of twelve untitled poems and a preface outlining the author's poetics. An initial commercial failure, this volume was the first stage of a massive, lifelong enterprise. 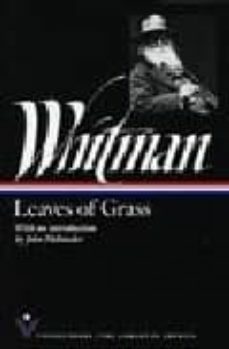 Six editions and some thirty-seven years later, Leaves of Grass would become one of the central works m the history of world poetry. This Vintage Books/The Library of America edition includes both the 1855 first edition in its exact, original form and the magnificent final edition of 1891-1892. For the first time, the authoritative editions of works by major American novelists, poets, scholars, and essayists collected in the hardcover volumes of The Library of America are being published singly in a series of handsome paperback books. A distinguished writer has contributed an introduction for each volume, which also includes a chronology of the author's life and career, an essay on the text, and notes.